With the Oticon Medical Streamer* you connect to all your favourite devices including Bluetooth-enabled devices, looped environments and FM systems at the touch of a button. This means you can stream sound from your TV, computer, phone and many other devices straight into your Neuro 2. Connect your Oticon Medical Streamer* to your TV using the ConnectLine TV adaptor and enjoy clear sound at a volume that suits you. 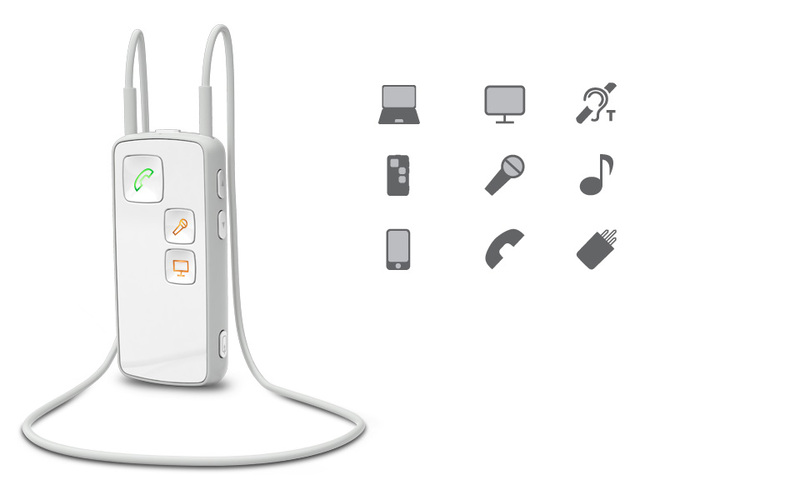 Use the Oticon Medical Streamer* with your Neuro 2 to listen to music or for hands-free conversations on the phone. The Neuro 2 has a built-in telecoil that can be used at most large venues, such as theatres, cinemas, places of worship and lecture halls. With the ConnectLine microphone or FM system and the Oticon Medical Streamer*, you can transmit the teacher’s voice into your Neuro 2. 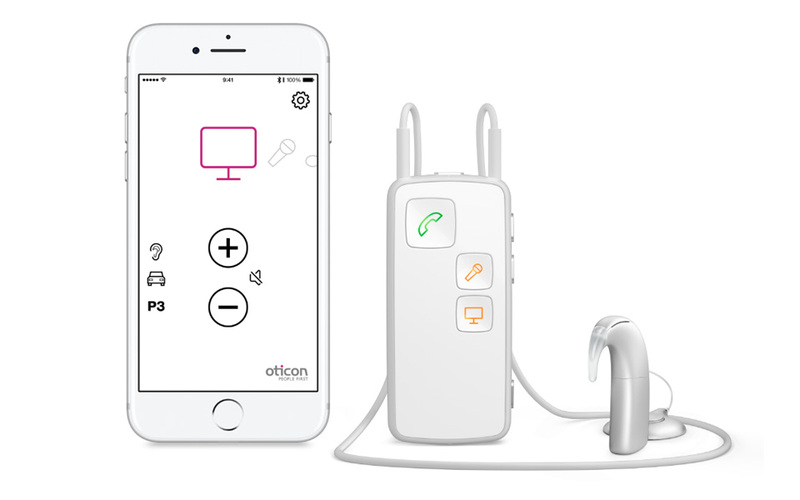 Once connected, the Oticon Medical Streamer* is a single point of control for adjusting the sound processor volume, changing programmes and answering calls on your mobile. Download the Oticon ConnectLine app* and you can control your Oticon Medical Streamer* directly from your smart phone. Adjust the volume, change programmes and switch between different audio sources discreetly and easily. The app is compatible with both Apple® and Android™ products and is available free of charge. Available on the App Store and on Google Play™. *Apple, the Apple logo, iPhone®, iPad® and iPod® touch are trademarks of Apple Inc, registered in the US and other countries. App Store is a service mark of Apple Inc. Android™ and Google Play™ are trademarks of Google Inc.
By streaming sound directly into your Neuro 2, the noises around you will be excluded. This means you can spend less effort on listening and will have more energy to keep attention and actively participate in conversations.